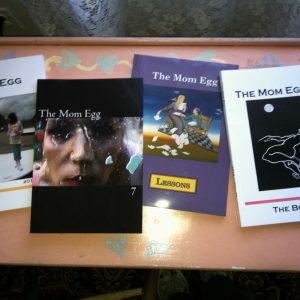 Our book reviews are approximately 750 words, and are published online at momeggreview.com. Please refer to our Book Review Guidelines for more information. If you’re interested in reviewing one of the books below, or another book that fits our parameters, please email us at MERreviews@gmail.com. An asterisk denotes a contributor, editor, or book reviewer for MER. Chasing the Merry-Go-Round: Holding on to Hope & Home when the World Moves Too Fast by Kelly Barbagos* (Boulay Press, March 2018) Memoir, special needs, personal growth. Feminine Rising: Voices of Power and Invisibility, Andrea Fekete and Lara Lillibridge*, Eds. (Cynren Press, 2019). CNF and poetry. Reckless Steps toward Sanity: A Memoir by Judith Sara Gelt (University of New Mexico, 2019). Memoir, abuse and mental illness. SQUEAKY WHEELS: Travels with my Daughter by Train, Plane, Metro, Tuk-tuk and Wheelchair by Suzanne Kamata* (Wyatt-MacKenzie Publishing, March, 2019). Non-fiction; travel with teen daughter (who is deaf and has cerebral palsy). 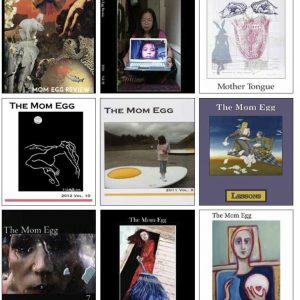 Travellin’ Mama: Mothers, Motherhood, and Travel, Charlotte Beyer, Janet MacLennan, Dorsia Smith Silva*, Marjorie Tesser*, Eds. (Demeter Press, 2019). Essays, poetry, articles. Cracked Piano by Margo Taft Stever (CavanKerry Press, April, 2019). Fool by Judy Swann* (Kelsay Books, 2019). Twilight Chorus by Holly Guran* (Main St. Rag, May 2018).